Progress from very easy to quite challenging parkour, while learning the basics of each jump and developing your own skill as a parkour master! 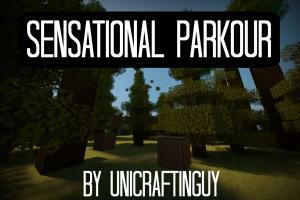 This challenging map contains 15 unique and fun parkour runs that will test your jumping skills as you go! Don't get frustrated! The challenges in this Parkour will test your mettle as you use your jumping skills to pass each trial, while also giving you a small mini-story to motivate you and become the Master of Parkour. 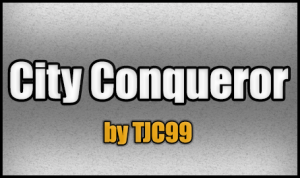 This is a custom map that will drive you to madness with its manageable but aggravating parkour. 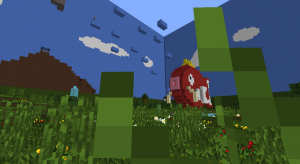 This map requires a custom Resource Pack to play (it's included with the download). In a world of darkness, the only way to escape is the light. Parkour on pathways of light over the ominous pits of darkness. 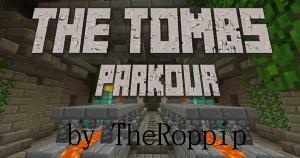 The Tombs Parkour map is a map designed to test your jumping abilities. 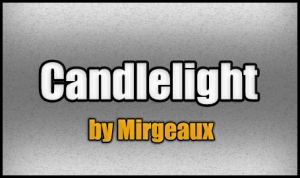 There is a slight plot, however it is mostly just a parkour map. Parkour... but without the jumping! Yep, you heard me. 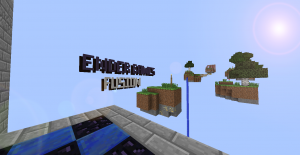 Ender Games: Fusion is the sequel to the very popular map, The Ender Games! 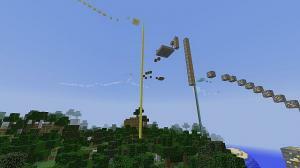 Use ender pearls to teleport your way though the 'fusion' world. The world has crumbled around you, leaving the smoldering ruins of a once great city. You take it upon yourself to jump on what's left of the ground and buildings, to make it to your loved one. This is a small competitive map for two players. (But a single person can test it too). The aim is to recognize and follow a given path, whoever finishes first, gets some points. 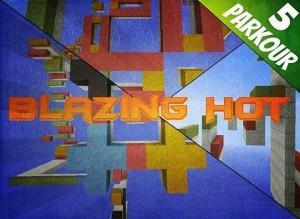 Blazing Hot is a challenging singleplayer parkour map with an addicting and unique parkour track! 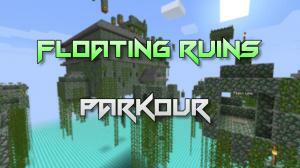 This is a large parkour map with over a hundred jumps and maneuvers. 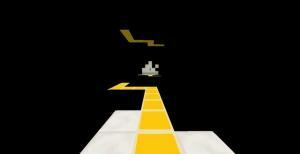 Skip Is a parkour map where you must "Skip" your way through each level. 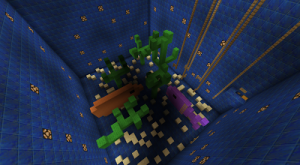 What happens when video games meet each other inside of Minecraft? 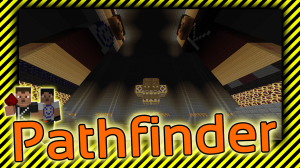 Find out in this epic parkour map! 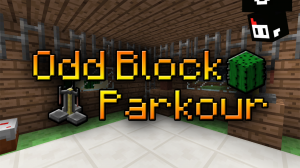 Laidback Parkour is a map with good sized levels that have easy jumps mixed in with the occasional hard jump. Hence the name, Laidback Parkour. 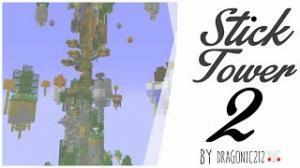 A long and challenging parkour map that spans all three dimensions and offers varied parkour challenges. 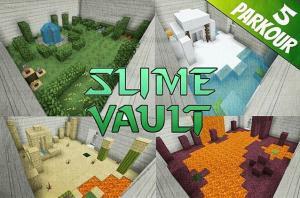 Slime vault is a parkour map made by 5uperTrinity, it contains 22 levels of insane slime parkour! This map supports multiplayer! 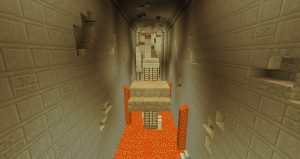 This is a difficult parkour map, that is NOT for the faint of heart. 30 Levels, a Shop system. Fun for the whole family! 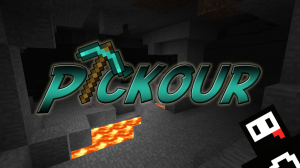 A new single or multi player Minecraft game-type where you have to beat as many parkour challenges as possible before time runs out. 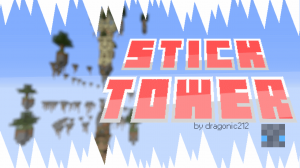 Stick Tower is a parkour map, where you must use your skills to climb up a 250 blocks high tower and collect all 11 sticks along the way. 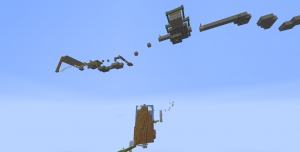 I'm sure you're used to doing parkour on normal blocks, but have you ever tried to parkour on brewing stands or cactus? 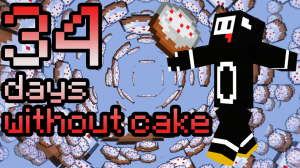 This is a parkour challenge in which you must jump from platform to platform to collect ingredients for a delicious cake! 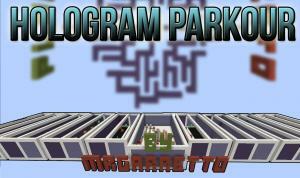 In this singleplayer parkour map, you will have to complete 4 different parkour courses to win. 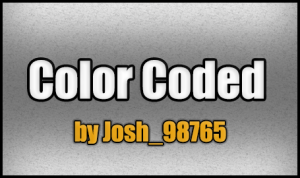 Be careful, or the colors will kill you. 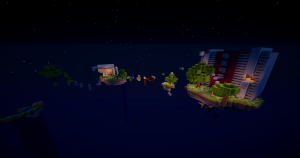 40 Jumps is a challenging single-player parkour map, made for minecraft 1.8. 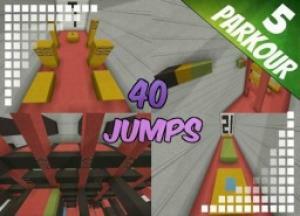 It features 40 individual levels of parkour that you can progress through. The map will also track your total completion time. 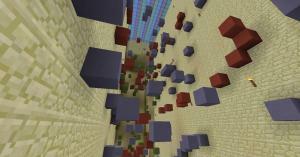 Your goal is to collect all the iron ingots at the end of the parkour courses to craft a water bucket. You'll need it to beat the map! 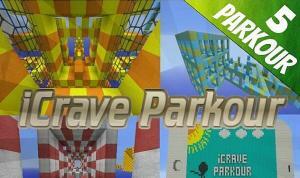 Travel to different areas of a Minecraft world by completing 8 parkours ranging in difficulty. Are you up for the challenge? 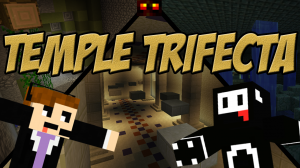 Welcome to Temple Trifecta! 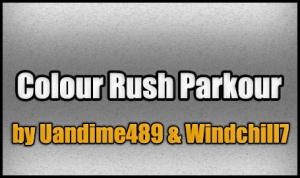 Sprint, jump, and conquer 3 rip-roaring temples in a race against the clock! A unique parkour map, based on the idea of speedrunning. 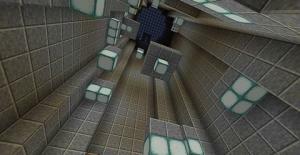 This is a challenging parkour map with 16 levels. 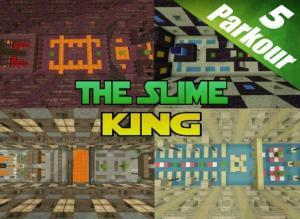 Almost every level has a different type of parkour so you will be able to experience multiple types in only one map. 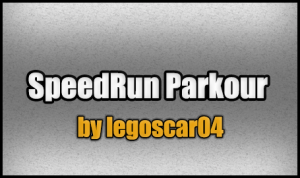 A new parkour race map for 1-4 players, race through a challenging rainbow parkour to beat your friends or race alone to beat your own time or complete the ninety second challenge. Good Luck! Jump through courses made of noteblocks to enjoy some music while at the same time trying to find the music disc that completes your collection! DECK THE HALLS WITH RAGE! Can you make it through the 24 days leading up to Christmas (Including the 25th), each with a new theme? 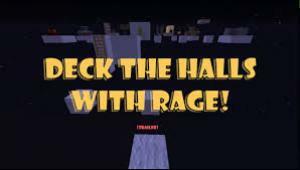 Varying from strange blocks to potions, this map will make you want to deck the halls with RAGE! 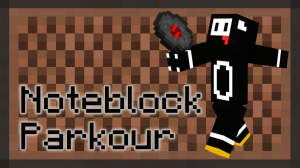 Possibly the most challenging form of parkour, where you must look at the template, then jump to the next block, without seeing it. 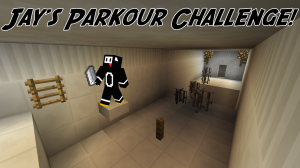 Dragonic Parkour Challenge II is a parkour map, where you must use your skills to beat 10 very hard levels and collect 10 hidden blocks along the way. 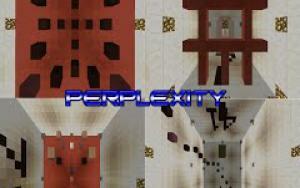 Perplexity is a difficult, rage inducing, single player map with 42 random levels and a scoring system to record your high score. 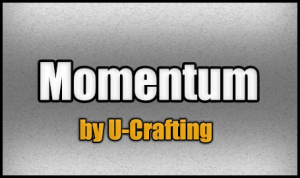 Use the Summoning Stick to summon a path of blocks! 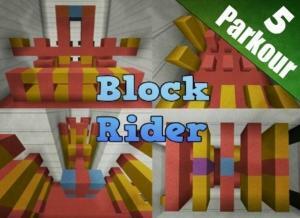 Block Rider includes 25 epic levels is also multiplayer friendly! 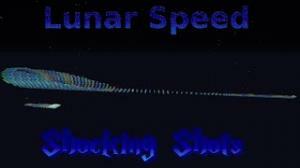 Lunar Speed is an intermediate single-player speed run map with frequent checkpoints and a timer to keep track of how long it takes you to finish. 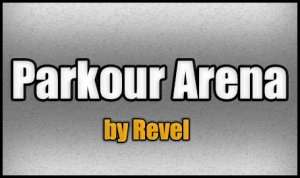 Warmup your parkour skills in this chilly map! 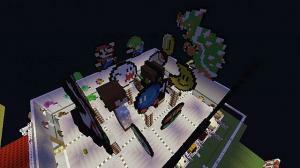 Includes custom minigames for multiplayer and a sneak peek at Dynamic Checkpoints. 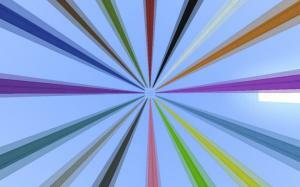 Randomly generated parkour "Super Hexagon/Boson X" style, with lots of colorful patterns. 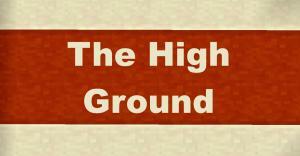 The High Ground: Jumps Edition' now available! 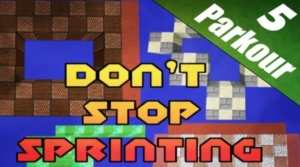 Don't Stop Sprinting is a challenging single-player parkour map with 12 unique levels. This map includes an awesome track and a score system for you to show off to your friends! 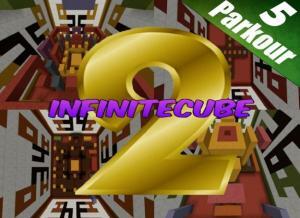 The famous InfiniteCube has spawned a sequel! 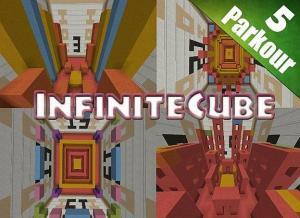 InfiniteCube 2 is a challenging single-player parkour map with 54 levels. This map includes a randomized track everytime you play and also records your score! 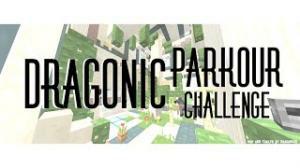 Dragonic Parkour Challenge is a parkour map, where you must use your skills to beat 10 very hard levels and collect 10 hidden blocks along the way.